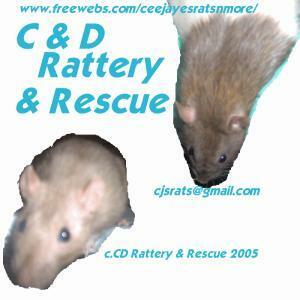 This page is comprised of rattie rescues. I hope that if you are interested in a pet rat you visit these first before a breeder as there is many rats that are abandoned and simply given away because of sometimes not so good reasons it makes you wonder why folks have pets in the first place. But there is some reasons very legit and understandable as sad as it is. Don't forget to that older rats make great pets. Any rat does but it's nice to help out a creature when love and care are all it needs. Please donate any thing "rat" related when the chance arrives as many rescues are full of rats and not enough funds. It is a gift from the heart not a greedy hand waiting. "May you find wealth in the love from your rat and pass on your compassion for such a wonderful gift from such a small creature with an enormous heart. T.Granger"